We’d love your help. Let us know what’s wrong with this preview of 10 Bits of My Brain by Stuart Jaffe. We’d love your help. Let us know what’s wrong with this preview of Ever the Hunted by Erin Summerill. 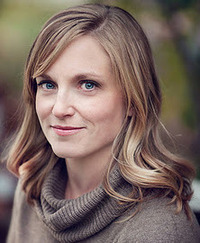 Julianne Donaldson voted for The Runaway King (The Ascendance Trilogy, #2) as Best Middle Grade & Children's in the Semifinal Round of the 2013 Goodreads Choice Awards. We’d love your help. Let us know what’s wrong with this preview of Alienated by Melissa Landers.
" Leah wrote: "What age is this book appropriate for?" Pride and Prejudice? It's appropriate for any age, but will appeal to mature teenagers to adults. " Sylvia is finished with Edenbrooke: I want a Philip Wyndham of my own! 5 stars! This is the best proper Regency romance I've ever read. We’d love your help. Let us know what’s wrong with this preview of Edenbrooke by Julianne Donaldson. When I look into your eyes, I lose all sense of time and place. Reason robbed, clear thought erased, I am lost in the paradise I find within your gaze. Where is your compassion when I need it most? Open your eyes , Love, and see what is right before you: that I am not merely a friend, but a man deeply, desperately , in love with you. “Did you need something?' I asked. 'Yes,' he said, reaching out and taking my hand. My heart thumped hard at his touch. I told myself I should pull my hand away, but I couldn't make myself do it. 'What did you need?' My voice was little more than a whisper. This is the poll for May's Books of the Month. Pick the one you'd like to read most & the two with the most votes will be our reads. “He opened his mouth. The words were there. He was about to say them when a jolt of terror went through him, the terror of someone who, wandering in a mist, pauses only to realise that they have stopped inches from the edge of a gaping abyss. The way she was looking at him - she could read what was in his eyes, he realised. It must have been written plainly there, like words on the page of a book. There had been no time, no chance, to hide it. But there was nothing to say. There was only emptiness, as there had been before her. As there would always be.